For everything there is a season—innocence, adolescence, first love. One major life experience, though, is not temporary, but changes along with the seasons of life: learning. A solid grammar school education can set a solid foundation for life. 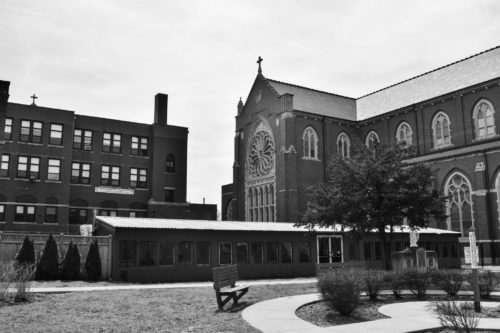 For many years, St. Columbanus School served that role in the predominantly African-American neighborhood of Park Manor, providing a culturally rich, warm environment, as well as an academically rigorous one. According to St. Columbanus alumna Leslie Cain-Cauley, who graduated with the class of 1980, what made St. Columbanus special was that it was a family; parents were friends with each other outside of the school and supported the teachers, and the students had pride in the school. In 2015, however, St. Columbanus had to close its doors and merge with St. Dorothy School due to low enrollment. The merged schools became the Augustus Tolton Catholic Academy, which has a STREAM curriculum (Science, Technology, Religion, Engineering, Arts, Math). The new school not only marks the end of an era in this community, but points to the variety of changes in the Catholic community as a whole—economic, educational, and social.